Grab their attention with this Asylum themed glass cling. 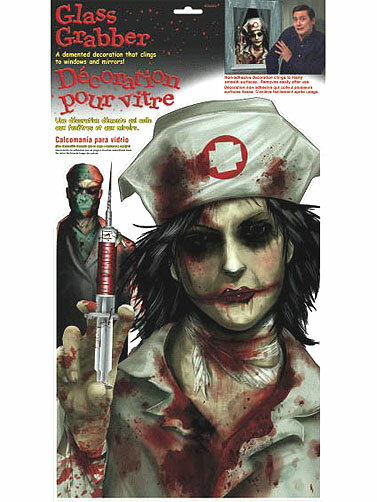 Vibrant image of a zombie nurse holding a syringe. Works on glass, mirrors and other smooth surfaces without adhesives. Removable and reusable. Asylum Glass Grabber measures 18"H x 12"W.